Rated at +43°C ambient temperature. 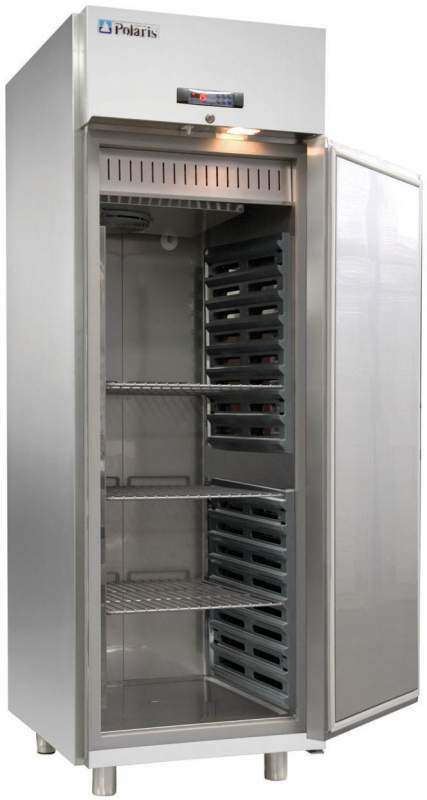 Massive GN one door, 650 litre capacity self contained upright refrigerator. 430 stainless steel finish, internal & external fully coved. Digital temperature control from +0°C/+10°C. Complete with duroplastic runners and 3 Rilsan shelves.